Night lights are great for so many different things. Whether it’s a fear of the dark, checking on your little one in the dark or your breastfeeding a light will come in handy. 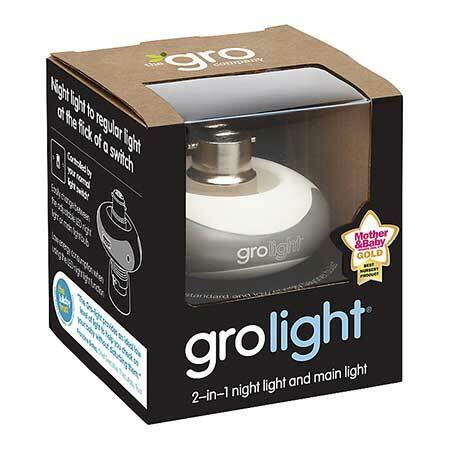 I’ve looked at a few different things you need to know about buying a night light and then reviewed a few of the best night lights available. Most of the advantages of a night light are pretty self-explanatory, mainly they help you and your baby see better at night! For toddlers it’s great at keeping any fear of the dark away, when they start getting old enough for their imaginations to start running wild. But for babies they often aren’t old enough to even understand fear, so the dark holds no threat. So do you need a night light for a baby? You certainly don’t need one but it can make checking on your baby, as well as midnight feedings and changes a lot easier. Night lights come in a lot of different colours, and I don’t blame you if you hadn’t even given thought to the colour, but some are definitely better than others. It turns out that reds and oranges are actually the best types of light to have. Reds help the production of melatonin which is the sleep hormone and allow your child to sleep peacefully. Meanwhile, blues actually cause stress and anxiety, not good! But, if you think about the colours of the sunset at night, then the reds and oranges being connected with a sleepy feeling start to make sense. Some night lights come with a load of bells and whistle, most of which you don’t need and rarely use. But here’s a couple of features which are genuinely useful. Thermometers are great just to make sure everything’s OK in the nursery, you want your baby (or toddler) to be sleeping in a safe comfortable temperature so they don’t get too hot or too cold. Night light projectors are almost a different product entirely, being either a night light or a night light projector. Night light projectors are great for helping relax your child and helping them fall asleep by giving them something soothing to look at. They just project a pattern onto the roof and sometimes move to make the whole thing dance. The moving projectors pretty much always make a sound because of the moving component. It’s continuous so normally fades into white noise but if you’re going to have it in your room beware if you’re a light sleeper. Will A Night Light Cause Your Child To Become Short Sighted? A bold claim I know but a BBC article in 1999 revealed some research that there is a connection between using a night light with a baby and short-sightedness later in life. And luckily, it wasn’t. A further study revealed that this research was based off a survey and the kids who ended up shortsighted had parents who were short-sighted and other quite important factors. A study which actually followed kids found at that, of course, night lights don’t cause any real danger to your child. The only danger is to you as a parent if you knock it off and it lands on your toe at 3 am. Babies is a little general, these are good for kids of any ages, even grown-up kids who don’t like the dark, I’m not here to judge! This is actually the Gro-Egg Baby Thermometer 2, upgraded from the previous one. It got made bigger, sleeker and now has adjustable brightness which I think was a much-needed feature to get it just right for you and your baby’s room. The reason that this is the best night light for newborns is the all-important temperature gauge. 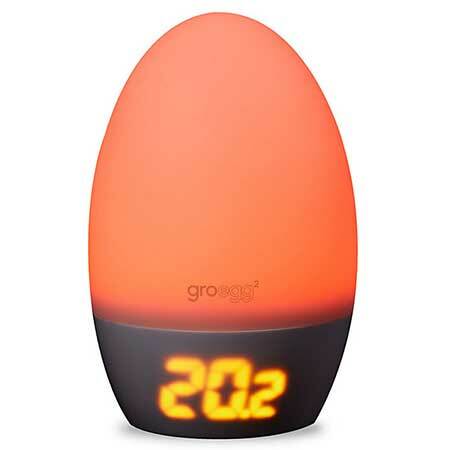 The Gro-Egg actually changes colour with the temperature going blue when it’s too cold and deep red when it’s too hot. Generally the best temperature for a newborn’s bedroom is 20-22 C, which is right around the orange- orange/red colour on the Egg. This just makes it nice and easy to keep an eye on having the right temperature for your baby, and gives off enough light to check on them without turning a light on. A solid 2 in 1. This is definitely the best night light for newborns. The main problem with this is that it tends to go out of stock quite quickly, so I wasn’t sure whether or not to include it. But it’s worth keeping an eye out for because if you have a toddler scared of the dark they can pick up their lantern and have a good look around to prove to themselves that nothing’s there. And they can carry it around themselves. You blow on it to turn it on and off which is really cool but you can also set it to auto off or stay turned on. You’ll just need to keep it charged up. 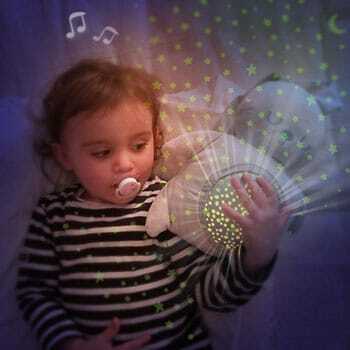 Gives your toddler the freedom to tackle the dark themselves. This is really cool because it fits straight onto normal light fittings, and gets used by the normal switch. Flick the switch once to turn on the night light and twice to turn on the normal light. The night light is more than enough to get in and see and check on your baby, so while you’re breastfeeding you can find them easily enough. Some people find it enough light to breastfeed with but others need to put the main light on still, it’s a very personal thing of course. It’s a bayonet fitting so that’s something to check before you buy it, that your light isn’t a twist bulb. 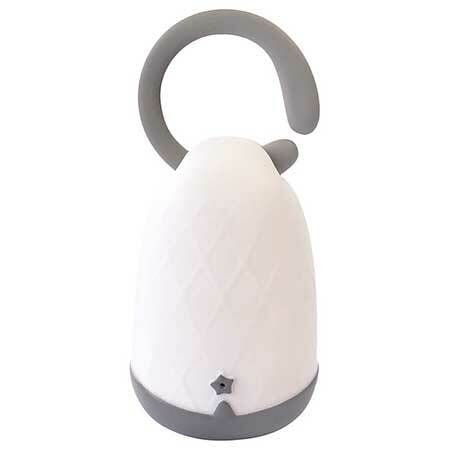 A great choice for anybody needing a night light for any age but a really great choice for mothers who are breastfeeding.